Our Talented model, Ayu Gani will be a speaker at PermataBank WEALTH WISDOM on August 2nd 2017. its about ‘Seasons of Wealth’ which Describe the differences of shopping behavior from 3 generations nowadays. 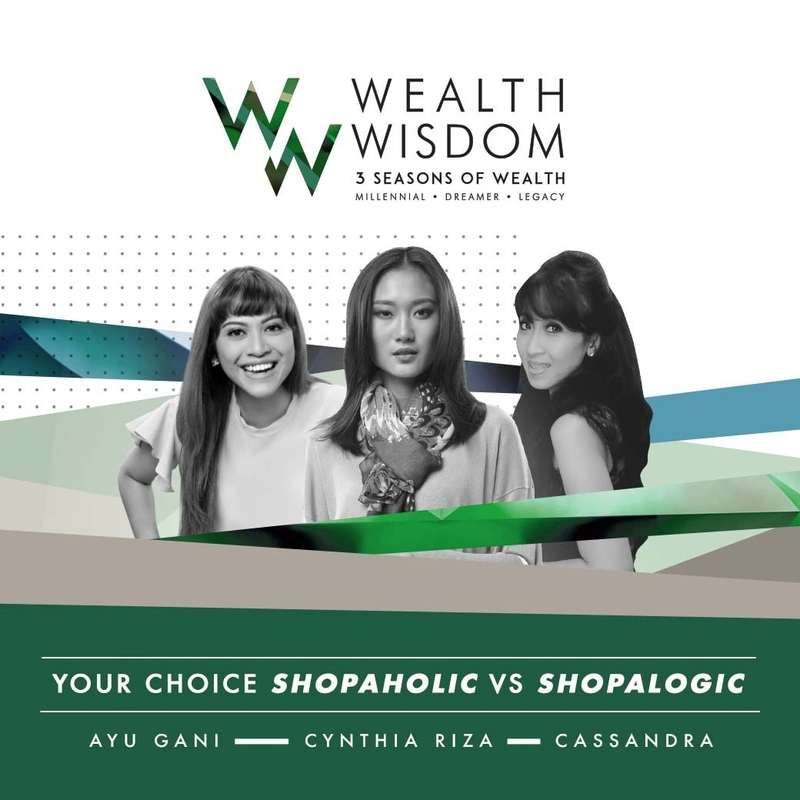 Ayu Gani, Chyntia Riza and Cassandra will be in a discussion titled "Your Choice: Shopaholic vs. #Shopalogic". They will Discuss the topic of shopping behavior from each Generation, Ayu Gani is considered to represent young people who are smart to manage money and how to spend it, Chyntia Riza as a young mother of 3 children is also smart manage the family finances and Cassandra as a psychologist who pays attention to the millennial attitude of shopping and judging wealth.